Atmospherically, "Jurassic World: Fallen Kingdom" is up there. There were moments that it easily rivaled the iconic raptor scene from "Jurassic Park". The film was a tense-filled and a horrific one at that. Sadly, the film was heavily-stifled by a rather off-the-wall plot that had all too familiar conflicts from past films or elements that were just unnecessary excesses. It has been four years since the theme park Jurassic World was destroyed by dinosaurs out of containment. Isla Nublar now sits abandoned by humans while the surviving dinosaurs fend for themselves in the jungles. But when the island’s dormant volcano begins roaring to life and threatens an all-out extinction event for the dinosaurs, the debate to save them or leave them begins. 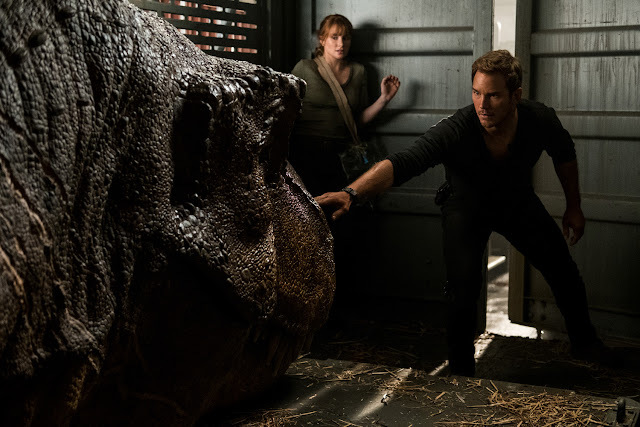 Owen (Chris Pratt) and Claire (Bryce Dallas Howard) mount a campaign to rescue the remaining dinosaurs from this extinction-level event specifically Owen's raptor Blue. Arriving on the unstable island as lava begins raining down, their expedition uncovers a conspiracy that could return our entire planet to a perilous order not seen since prehistoric times - a literal Jurassic World. In "Jurassic World", the film had us in awe with its marvelous visuals and incredible fight scenes. 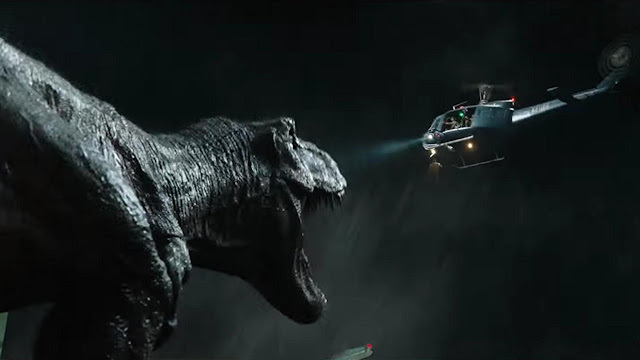 "Fallen Kingdom" also had us speechless with its still incredible visuals and intense-filled chase and hunt sequences. Director J.A. Bayona was able to translate on the big screen the true terror of trying to survive against creatures way beyond human capabilities. This culminated in a long but satisfying final sequence that truly encapsulated why "Fallen Kingdom" works. 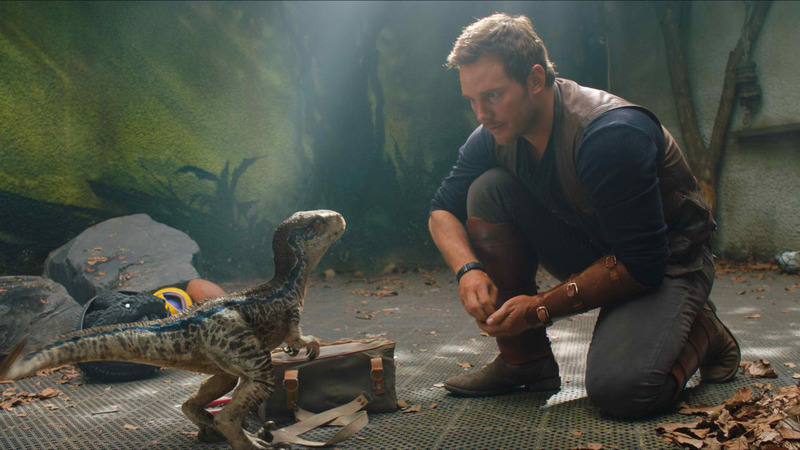 It also helped that Chris Pratt and Bryce Dallas Howard once again brought their quirky yet relatable chemistry and well-supported by newcomers Daniella Padilla, Justice Smith and Isabella Sermon. Where "Fallen Kingdom" failed hard was on its screenplay. The main plot, to be frank, was uninspired. It feels like we've threaded the same issues and messaging from past films to the point that it's pretty easy to predict from the first ten minutes of the film who the antagonist will be and what his motives are for saving the dinosaurs from extinction. Worse, the film had outlandish revelations near the end that simply didn't work, felt out of place, and had no purpose in the overall plot. In conclusion,"Jurassic World: Fallen Kingdom" was a surprisingly well-made second outing. It could have been a lot worse but if you forgive the pedestrian plot, then the wonderful dinosaur sequences should make it an overall amazing experience.